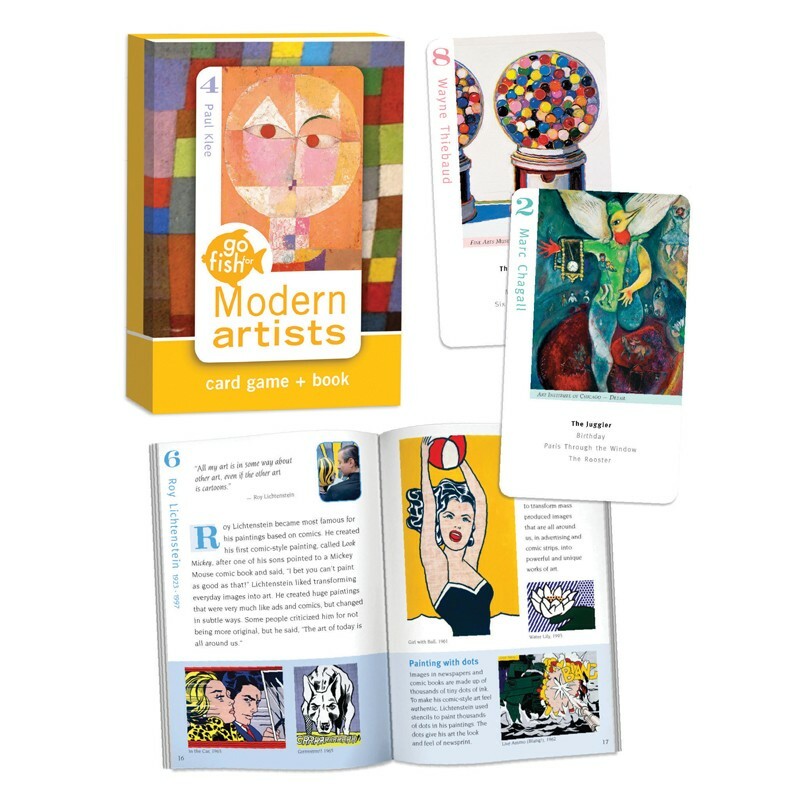 Children become confident art experts just by playing their favorite card games over and over again. Kids and adults get to know 8 great modern artists. Includes 36 playing cards plus a 28-page companion fact book. Age 6 & Up.